Sweaters and hats and knitted projects of all shapes and sizes that have particular 'shaping' or curves will likely contain increases or decreases. Once you learn the basic cast on, knit and purl, you will want to learn how to increase and decrease. Start with some of these videos to acquire these basic skills. The first decrease to learn is the knit two together, abbreviated: k2tog. This is the most commonly used decrease stitch. 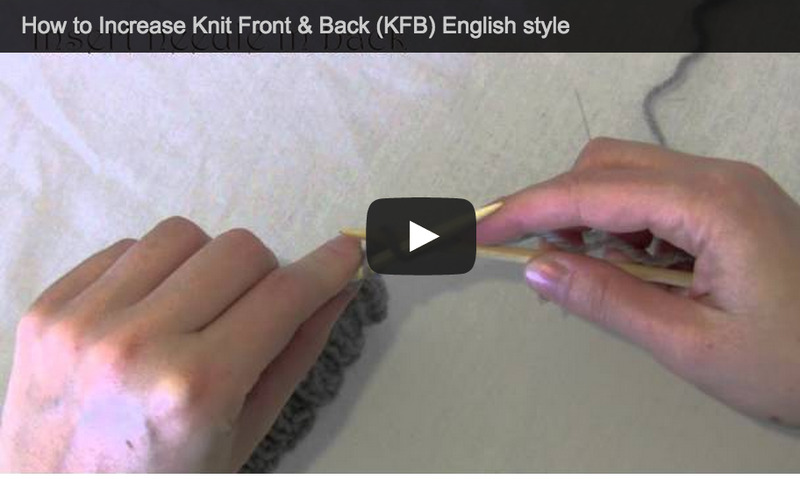 The beginner increase is often abbreviated 'inc' or 'kfb' which stands for knit front and back. Here's the english style video for this basic increase.